In 2013, Google came up with a feature called App Indexing which allows users to index their app and the content within it. Though many of you may be familiar with the way that websites are indexed and ranked, apps are a different story. App Indexing is all about getting your app content listed in Google’s search results. Initially when App Indexing was introduced in 2013, it was only available for a limited set of app publishers. In 2014, Google expanded the support for App Indexing and since then this feature has been available to everyone. This feature is now available for both iOS and Android applications. In short, you can market content on your app. Each page on your app can be optimized and ranked. The coolest part of this new feature is that you can link your web content to your app. Your app gets indexed just like a website. When people perform a search on mobile, they will see your app listed among websites in Google’s search listings. Let’s say you are searching for “How to get your app indexed”. The SERPs will include websites and apps that have content regarding your search query. 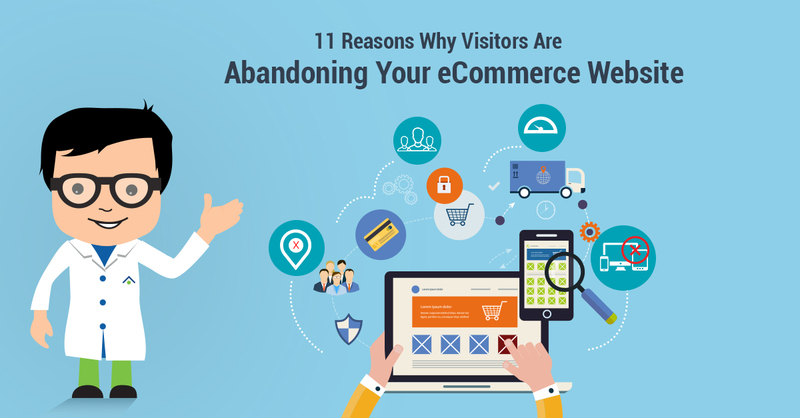 There are high chances that your app will be ranked above the website. When your app gets ranked, a specific URL will be shown in the result page that will take you to a specific page within the app. Such URLs are created with the help of Deep Linking. Deep Linking is very important when it comes to indexing your app. This will be the link that opens the app on your mobile device. If the app is already installed on your phone, it will directly open the page on your app. The only drawback of this is that is the app is not installed, you will need to install it. 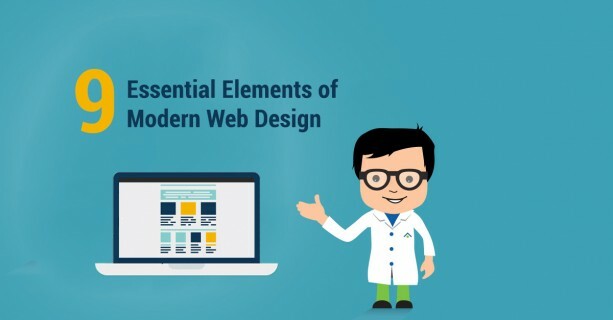 With these links, people can be directed to the information they are searching for. Each deep link will land on a different page. Deep links also offer inter-app communication. Such links can also be used in ads that appear in apps. Many top-tier apps like Facebook and Twitter now have deep linking simply due to the rich user experience this provides. Setting up deep links is the first thing you have to do before you get your app indexed. Let’s take a look at how deep linking is done in Android. Deep linking in Android is done with the help of Intent Filters. Intent filters will help users open links from their mobile browsers or from within the app. Simply follow these steps to enable deep linking in Android Apps. 1: Update your Android Manifest and register a URI (Uniform Resource Identifier). 2: Add a new Intent Filter for the corresponding Activity. 3: Define Intent Filter Tag, Action-Tag, Data-Tag and Category. # <intent-filter> : This tag will be different for each activity. Each activity will have a specific link/result displayed in the search result. #<action> : This will specify the Action_View for your intent filter. #<data> : This tag will define the format of your deep link. Below is an example for deep linking. This code uses intent which lets user view information on a book called “Deeplink” from a collection of books. Check Info.plist to confirm registration. Define AppDelegate for each page. Define ViewController for each page. Once you enable deep linking in your app, your next step is to submit your app for indexing. The procedure for submission in Android and iOS is the same. Your app will start ranking in the search results once you have successfully indexed your app. The entire process of getting your app indexed can sound as complicated as rocket science, but in fact it’s quite simple and smooth once you start with Site Association. First you have to link your app and website. This can be done using site association. This will let you associate your app content with your website content. Simply follow these steps for associating your Android app with your website. a) Sign in to your Google Play Developer Console. b) Click on All Applications. c) Choose the app that you would like to verify. d) On the left menu, click “Services & APIs”. e) Go to “App Indexing from Google Search,” and click on “Verify Website”. f) Enter your website address. h) Go to Google Search Console. i) Click “All Messages” on the left. j) Open the verification request message. k) Click “Approve the request”. l) Check all your details and approve your app. Once it is approved, It will take around 24 hours to get your app’s association verified. 1. Add an entitlement com.apple.developer.associated-domains. It should list all domains associated with your app. 2. Create an association file, apple-app-site-association. This file should be different for each domain and should contain information regarding your app content. Here is the official Google developer’s page on this. The second step is to add your app indexing API/SDK depending on your app’s platform. Both API and SDK will contains details like titles, descriptions, etc. This will help to improve your app’s ranking and will also provide richer search quality. 1. Add Google Play Services. 2. Import Action, AppIndex and GoogleApiClient classes. 3. Add App Indexing API Calls (Here you can define the title, description type and URL). 4. Indicate the app activity. 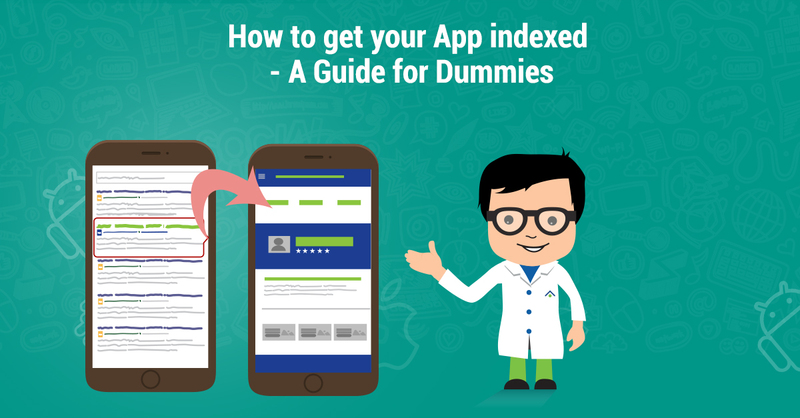 You can get more details on how to add app indexing API here. In iOS, App Indexing uses CocoaPods. You will need to install CocoaPods to add the app indexing SDK. Once you have installed CocoaPods, follow the steps below to add app indexing SDK. 2. Add podfile ‘GoogleAppIndexing’ to your Podfile. 3. Save the podfile and install it. 5. Register your app with registerApp. 6. You will get more details on adding app indexing SDK here. That’s it, you’re done! Once your app is indexed, Google will crawl your app pages and start ranking them. This is the result which will be displayed if you do not have the app installed. Here I have searched directly with the keyword “Pinterest”. 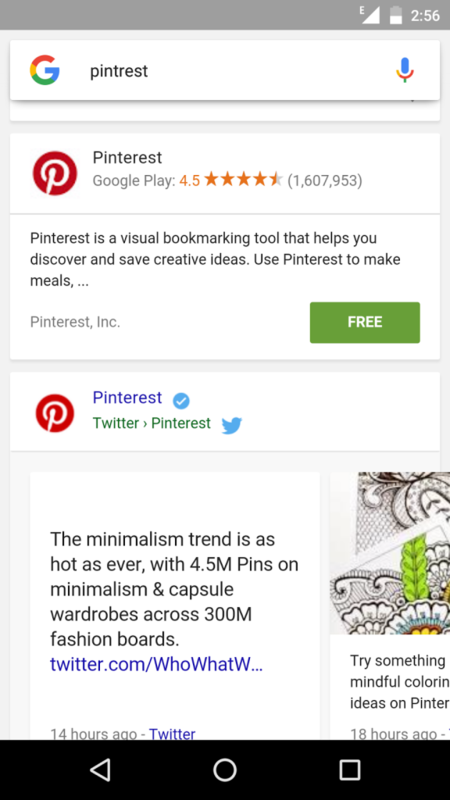 If you search for a topic on Pinterest, the corresponding page on app will open if the developer has indexed it. Let’s take a look at how results are displayed for apps you have already installed. Here, I have searched for the Facebook page of IMDB. When I click on the link, the corresponding Facebook page will be opened in my Facebook app. You can also see a few case studies on Google Developers here. Mobile app indexing will let you engage more users with your content. Etsy saw a whopping 11.6 percent spike in traffic from Google referrals after indexing its app. The Guardian saw a 4.5 percent increase in click-throughs to their app than their mobile site. Also, app indexing can increase app installs besides driving more traffic. For marketers and SEOs, app indexing will help boost mobile traffic for your content. For now, Google ranks app content only on Chrome (Android) and Safari (iOS). Google Webmaster Trends Analyst Mariya Moeva stated at SMX West that Google would be considering quality apps to be a positive ranking factor in mobile search. This means that that app deep links could act as a positive factor for Google rankings. Choose wisely what you want to index and make sure that you have that content online too. The content can be anything–it can be a review on a particular website or content about food or a guide to save on electricity bills. Check out applications like Facebook, Netflix, IMDB, Yelp and Etsy to see the functionality and effectiveness of established apps. 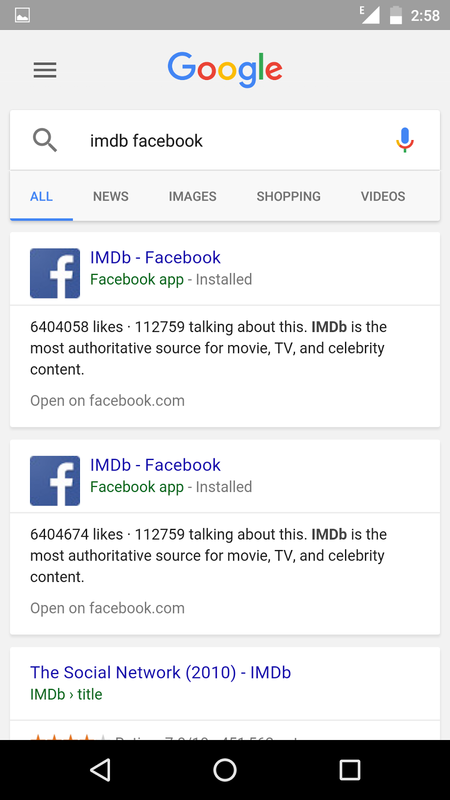 Google has already indexed more than 100 billion app deep links, and these are searchable now. Indexed app content can surely play a part in increasing your mobile leads. It’s obvious that mobile apps are the way forward, and app indexing is going to be crucial in the years to come. So, index your app and get noticed!